Police tape cordons off a suspected crime scene. 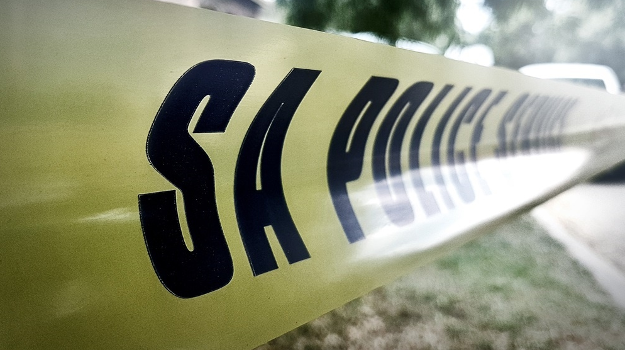 Gauteng police are on the search for four suspects after an 18-year-old man was shot and wounded in an armed robbery in Douglasdale, north of Sandton, Johannesburg, on Friday. According to police spokesperson Captain Mavela Masondo, the armed robbery happened at around 20:00. "It is alleged that the victim and his two cousins were watching TV inside the room when a shot was fired and hit him on the upper body," Masondo said. According to Masondo, while two armed suspects entered the room and made away with electrical appliances and cellphones, two other suspects were waiting outside. "The victim was taken to a nearby hospital in a serious, but stable condition," Masondo confirmed. A case of attempted murder and house robbery has been opened by police for investigation. Masondo appealed to anyone with information that might help the investigation or apprehension of the suspects to contact their nearest police station or contact crime stop on 086 001 0111.